Tell us how YOU could use it. toddler groups etc, for fun and friendship for the entire community, both young and old." Click on it to see it in full. January 2018: Regular events now established in Olly's Friendship Room are weekly Babies & Toddlers on Wednesdays at 10:30am, Astronomy Club on the third Thursday each month at 7pm, and Film Club on the the third Friday of each month at 7pm. November 2017. We have been up-and-running for over 10 months now. Most teething problems have been ironed out, and the WARM church and Olly's Friendship (community) Room are in regular use. 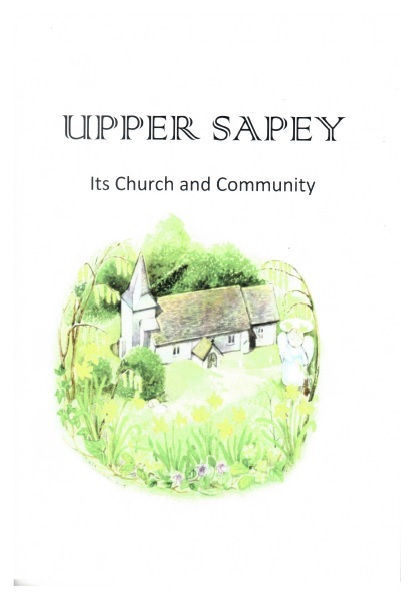 A new booklet has been written and printed ""Upper Sapey - its Church and Community". They cost just £2, and can be bought from the church, or ordered by email to john@jcbland.f9.co.uk. Payment and postage to be agreed. March 29th 2017. We are now working on a "Taster Week" to be held 10th - 13th April, in the Easter Holidays, when a sample of activities will be on offer for you to try. Look out for further publicity shortly! March 2017. Wow! What a lot has happened since last update here. The project is practically completed, although there will be a number of "snags" and fitting-out actions to complete over the coming weeks. We just about have our financial head above water - for now - but will need some local fund-raising before we make the final "retention" payment to the main contractor in December. We seem to have exhausted the source of grants! Over sixty of us crowded into Upper Sapey church on a February afternoon. First impression – it was warm! That is not how I am used to churches being at this time of year. The occasion was the opening ceremony for the restored church and a large new meeting room at the back – Olly’s Friendship Room, of which more later. It is beautifully designed, with oak frames and lots of glass to show off the 900-year old Norman Arch and other features. If you try out the new [accessible] toilet, you will find yourself admiring a richly coloured stained glass window. Where else could you find that in a loo? 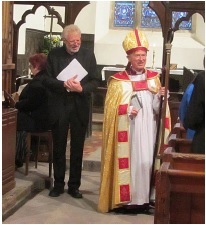 Rev David Howell returned to the Parish to cut the tape and lead a short service with an account of the project. This has been a major achievement and a wonderful example of bringing good out of bad. The people of Upper Sapey, and in particular the small team behind the project, deserve our congratulations. They have worked together, starting with working parties to take in hand the overgrown churchyard, and moving on to raise almost £300,000, from a mixture of their own fund-raising events and grants from trusts and foundations. Two things gave it impetus - an architect’s inspection which showed up structural problems threatening the church itself, and the tragic and untimely death of Oliver Roberts – ‘Olly’. In his early 20s, Olly was prescribed a drug to combat acne which in a few instances can have devastating side effects. It left him battling with depression, and experiencing a loneliness and isolation more disturbing than anyone should have to cope with. Finally, it led to his death aged 32, in 2012. * The day we opened the room named for him, February 18th, was his birthday. Olly’s parents, David and Heather spoke during the opening ceremony, and David was the manager of the whole project. One of Olly’s characteristics was his kindness. Among his last wishes was to save other people from going through what he was living with, and he even dreamed of adapting his home as a resource centre for children to teach them about the value of kindness and mutual support, whilst enjoying creativity. Faced with the need for extensive church renovation, it seemed natural to his family and friends to make improvements also, and in particular create a comfortable meeting room at the back of the church, which is in the centre of the village. It is a community resource where there will be a warm welcome for all and a programme of events that promote the friendship and belonging that Olly longed for. Despite my Whitbourne roots, I look forward to attending some of these events, and I wish the best of luck and continuing energy to the team behind it. Anyone who wants to book Olly’s Friendship Room can contact David Roberts (Tel: 01886 853665). December 24th 2016. The "Tour of the Changes" document added to the links above right. November 9th 2016: All the scaffolding is down inside the church, electricians are busy connecting up, the end is in sight! Back in the church by Christmas, and maybe before that (but not for Remembrance Sunday 13th November). See Newsletter No. 6 for a full report. June 8th 2016: The contractors continue to work diligently and expertly on the church, under the watchful eye of David Roberts, project manager. We had a very successful topping out party on 31st May with 6 from the Construction team and 15 from the Community. A yew sprig was duly hoisted, as tradition dictates, to ward off evil spirits and to be the starting gun for drinks for the Construction workers!! We thank Andy, Chris Amplett, Val and Chris Flathers for providing the drinks and homemade quiches and pizzas in such an efficient way and for generously donating them as well! It was not intended to be a fundraising event but we have received donations of £15. So thank you to all of you for your support. See the Picture Gallery for some pictures of the event. Services are taking place in people's homes, although the July 10th service he HOPE will be in church for David's last service in Upper Sapey. The LMDG team (the Lay Team) are working with the churchwardens and Rural Dean Revd Alan Seabrook to organise things during the interregnum. Visit the LMDG web page for more information. April 30th 2016: Saturday Coffee Mornings (somewhere in the village - look out for signs) continue without a break. Work in the church, and outside on the walls and tower, proceeds unabated also. See the Gallery Page for the latest pictures. The Rogation Walk on 1st May, starting at the church at 10am (after a peek in the church if you want) will give a good chance to chat with fellow Upper Saparians. See the latest Flyer (link above) for other informaton. April 7th 2016: Real progress is evident now. Scaffolding has just gone up outside around the tower; the accessible wc room inside the tower is taking shape; scaffolding inside the church is ready for the "big lift" of the I-beam that will be above the new glazed screen to the Friendship Room; work on the collapsed floor continues further down the church. Of course, all this work means some BIG BILLS are coming in now, and fund-raising is by no means complete: we are making efforts to reclaim VAT on the eligible parts of the work, and our Saturday coffee-mornings (11am to noon in someone's home - look out for signs) are popular and raise some welcome donations. March 14th 2016: Building & Repair work progresses apace. See the Picture Gallery page. Funds have been boosted yet again, by the Lent Lunch on Wednesday 11th March (£85) and a grant from the Addenbrooke, Nash & Winnington Combined Charity. There's still a long way to go, of course, both with the repairs and the fund-raising. The April church service is on 10th April, and will be lay-led Matins at Brook House, 11am. Many thanks to Mark Maddock! 7th March 2016: Well - Christmas has come and gone - what a turnout at Church on Christmas Day! - and the building & repair work has started. Visit the Picture Gallery page to get an idea of the upheaval that is happening, and keep checking the latest Newsletters & Flyers (see the list above) for our communications with the local community. We are all quite excited now, and very much look forward to completion - and raising enough funds to do all the finishing touches that make such a difference. The church is now "out of bounds" for about eight months - i.e. until the end of October 2016 we think. Monthly services are being held nearby - look out for signs. Our Easter Day service will be at Tedstone Delamere church (HR7 4PS) at 11am, joining with their regular congregation. We hope to see you there. December 2015: Wow - what a weekend we had 12th & 13th December, with our Christmas Fair on the Saturday, raising £620 in spite of the miserable weather, and a nice turnout for the Carol Service on Sunday morning. The locally-raised amount since 1st September has now passed the £2,000 mark - see the updated thermometer at the left side of this page. There is more good financial news, too, in that Her Majesty's Revenue & Customs has refunded about £5,000 on the Gift-Aided donations made before April 5th this year - how kind of them! And how kind of you who are able and willing to Gift Aid your donations. Gift-Aiding means we get an extra 25% on top of your donations made out of taxed income, so it's well worth doing if you can. The new plan-view picture above shows the overall progress of the Appeal in an alternative format. What we need is all the blue gone, and red everywhere. Please note the position of the coloured squares is NOT significant. HAPPY CHRISTMAS to all Church Rescue supporters, and many thanks for all your support over the course of 2015. We are looking forward to even more of the same in 2016, and the start of building works before the Spring! November 2015: Another good turnout at church - this time for the Remembrance Service on Remembrance Sunday - the first such service at Upper Sapey for many years. An amazing £68 was raised by the retiring collection for the Royal British Legion Poppy Appeal. The Local Appeal seems to have stuck at about £1,500 - so there's quite a way to go to raise the £20,000 we need to raise locally. A little is coming in each week at the Saturday coffee mornings, and the Christmas Fair will help, of course, but we do hope more Upper Sapey folk will see the merit of what is planned for the church - repairs to see it survive for the decades to come, and a most attractive and useful Friendship Room inside the church - and want to support it generously. The Friendship Room will provide a warm and comfortable environment for all manner of activities for the local community, but especially support groups for the anxious, lonely, troubled and distressed in our community. Our project manager David Roberts continues to work tirelessly dealing with the project plans, ongoing appeal requests, and a host of day-to-day activities. David and Heather deserve our sincere thanks for their dedication to this work. 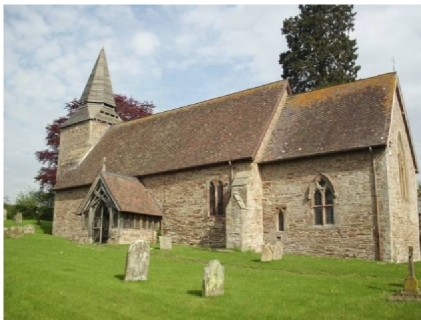 Carol Concert by Bromyard Choral Society in aid of Upper Sapey and Whitbourne churches (50:50 split). This is on TUESDAY 1st December at Whitbourne Church, starting at 7.30pm. Admission is FREE, but there will be a retiring collection. Christmas Fair details have been sorted. It will be on Saturday 12th December at Upper Sapey Church, from 11am to 1pm - no entry before 11am please so the organisers can prepare properly! We plan to have LOTS to interest you: * Tombola * Raffle * Crafts by Sandy * Sylvia’s Sweets * Candles & Jewellery * Cakes * Cards * Decorations * Silent Auction * Craft bags * Mince pies * Mulled wine * Children's corner * and maybe even more! How could you bear to miss it. October 2015: Well, we have not been idle, notwithstanding the summer break many of us have had. There was a good turnout for the Patronal Festival/Appeal Launch service on 27th September. Click HERE for some pctures. It was nerve-racking for the lay leader (John Bland) but it all went off without a hitch. The decision to have a non-communion service on this occasion seemed to help, in that there were one or two who would not have come otherwise. The main tender quotations have now been received, and are being critically assessed by our architects and project leader. More news will be posted here when appropriate. Some useful local donations have come in recently - about £1500 plus an unexpected grant of £15,000 from the Garfield Weston Foundation! There is still a very long way to go, of course, and we really need the local community to make the £1,500 up to £20,000 in order to prove to our major grant bodies that the community supports this project. Keep an eye on the smart new road-sign (see above) for the latest messages about the Appeal and church services. The Saturday coffee mornings have continued unbroken - just! - and continue to provide a relaxed opportunity for team members and other interested parties to catch up. If YOU would like to host one some time, please offer - it's sometimes hard to keep this going when we all have other responsibilities etc. that get in the way of this most important project. August 2015: Much has been going on since the last update. Appeals for grants, site visits, architects drawings etc. have kept us busy. And of course, the Saturday Coffee Mornings have continued without a break! We are now building up to the launch of the appeal to local residents - that is, to those who stand to benefit most from the project. This will happen formally on Sunday 27th September, at the Upper Sapey Patronal Festival service at 10am. This will be a non-communion service to which everyone is welcome - indeed, encouraged - to come! The Appeal Brochure is being delivered to Upper Sapey residents during September before the big day. You can follow the link above, too, to an on-line version of it. Please put 27th September in your diary NOW, and make every effort to join us! June 2015: A super day was had by all who attended the Tea Party (mini Fȇte) on 6th June. Even though this was mainly an event to celebrate the awarding of a significant Heritage Lottery Fund grant, an amazing £343 was raised from the contributions for tea & cakes, bookstall, raffle, tombola etc. Many people put in long hard hours to make the event the success it was, and the whole community's thanks are due to them for their efforts, and faith that the event was worth doing. It certainly was! A very useful Investigations Day was held on 2nd June 2015. They went down in the boiler room; they went up the spire; they looked at our carvings in minute detail. 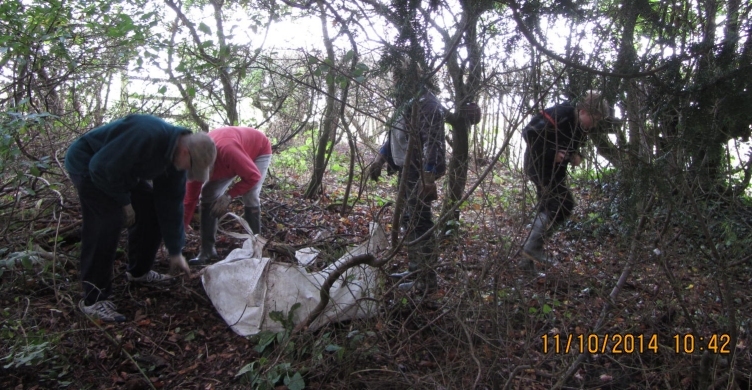 They were looking for potential problems, the best way to tackle existing ones, asbestos and other nasties. Bat investigations come later in the month. We don’t know yet what they found. Watch this space! Click HERE for some "action shots" of what happened. We await the reports. Plans proceed apace! We are about to make a BIG ANNOUNCEMENT about our application for a major grant towards the work. Full details will be announced at the Tea Party on 6th June, from 2-4pm at the church. Click HERE for the poster advertising the event. DO PLEASE COME! The Lent Lunch at Redlands, Upper Sapey on 25th March 2015 raised over £100 for the Olly Roberts Charitable Trust, the inspiration behind the planned Friendship Room. Follow this link at thre left for more information about the Trust. A new Newsletter now out - follow the link at the left. Songs of Praise was a great success on 30th November, although there were notable absences due to sickness, and Upper Sapey's Carol Service was held on 14th December. Both were ably accompanied by Maggie Everett. Our next service is on Christmas Day at 9.30 am - note the earlier time! Newsletter Number 2 is now out - follow the link at the left. 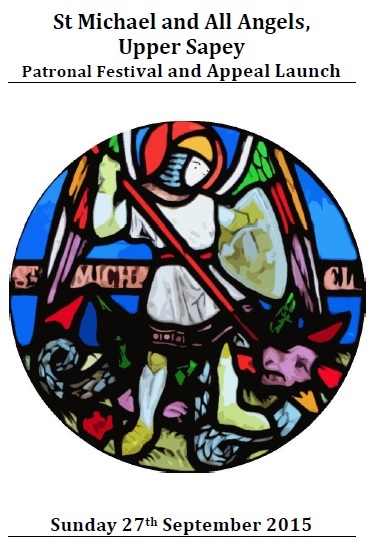 It includes items on Coffee Mornings, Songs of Praise (with picture), Lay Teams, Money, the recent Diocesan Advisory Committee visit, our Heritage Lottery Fund application, Lent Lunches 2015, and Items for Discussion at our next meeting. Coffee mornings are continuing on Saturdays from 11am, with a "faithful few" coming along. We would love to see more, of course! They are very relaxed occasions, and such good opportunities to "catch up" with each other. Coffee/tea and biscuits are free, but donations are always welcome. Another successful Coffee Morning on 18th October: Eight of us gathered for informal coffee/tea and chat. Isn't it good to have this opportunity on a weekly basis? There is NO CHARGE, although donations to the project are of course always welcome. In fact, the bank balance increased by another £20 today. There are gaps in the Coffee Rota - see the list on the table in church and linked on the left of this page. If you would like to host it from time to time, just add your name to the list and let me (John Bland - webmaster and project treasurer) know. Most of the equipment is left in church ready, you just need to bring consumables (water, tea/coffee, milk, sugar, and maybe even some biscuits!) and set things out ready for 11am start. The problem with looking at proposals from drawings is that it is not easy to assess the impact this will have whilst actually in the building; it is perfectly possible that the scale and portion will be absolutely fine, so to make a better assessment the DAC would like to make another site visit as soon as possible. Sophie will liaise with the DAC to check availability and will come back to you with a proposed date shortly. I am sure agreement on the proposals can be achieved through further discussion, so that together we can feel confident that the design is right for this building. 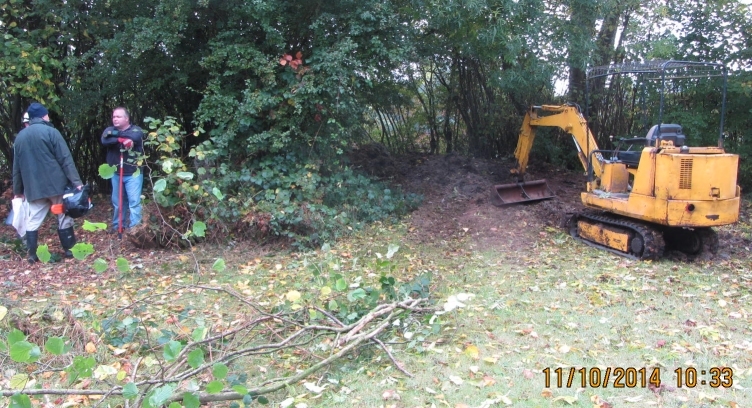 A lot was achieved and more graves cleared. Many thanks to all workers, and to Carol for the cakes. Did anybody count heads? I think I counted around 15 while I was there. 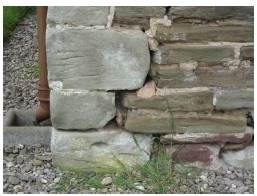 The masonry is in a dreadful state. The boiler room, beneath the nave, needs repair – the nave floor is threatening to sink into it. These two photos show some of the problems. The spire, porch, nave floor and a lot of the masonry all need repair. Upper Sapey Church is in trouble. 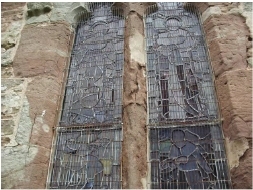 Faced with a repair bill of over £150,000, the church is in danger of collapse. We want to get funding for repairs, installation of basic facilities, and turn the West end of the church into a social area. maybe offer to do something practical to help. See the latest for progress on the rescue of this church. Just follow the link at the left of this page. Visit the Greater Parish's main website for all other information! Together we can make this an increasingly useful and valuable resource. IF YOU THINK UPDATES HAVE BEEN FORGOTTEN, TELL THE WEBMASTER or Deputy Webmaster! Follow this link for the A Church Near You website.